This is the list of known negotiators for TAFTA/TTIP. We want to have picture and a résumé of all of them. If you found one, add it below! To add a negotiator's picture, find it (could be on any web page), and use "import a file" on the left menu here to import a file, then add his picture below his name. When importing a file, you could add "from + url" in the description field to say where you find it, could be useful to check it or to know more about that person. Thanks! FR : Voici la liste des négociateurs de TAFTA/TTIP dont nous avons connaissance. Nous souhaitons en construire un trombinoscope. Si vous en trouvez une photo ou un CV d'un des négociateurs, ajoutez-le ci-dessous ! Pour ajouter une photo, cliquez sur "Importer un fichier" en bas à gauche de cette page, et entrez une image. Si vous l'avez trouvée sur un site, mettez "from + url" dans la description, cela pourra être utile à l'avenir. Merci ! 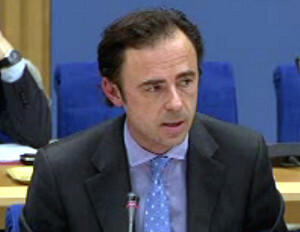 Ignacio Garcia Bercero is a Director in DG Trade of the European Commission. Since 2012 he has been responsible for overseeing EC activities in the fields of Neighbouring Countries, US and Canada as well as being the Chief Negotiator for the EU- India FTA. He coordinated the work of the EU-US High Level Working Group on Growth and Jobs, which recommended the launch of TTIP negotiations. Working at the European Commission since 1987, from 2005 until 2011 he worked in the areas of Sustainable Development, Bilateral Trade Relations (South Asia, South East Asia, Korea, EuroMed and the Middle East). He was also the Chief Negotiator for the EU-Korea and EU-India Free Trade Agreements. Before that, he worked in the areas of WTO Dispute Settlement, and Trade Barriers Regulation .In the period leading to the launch of the DDA negotiations, he was working on overall coordination of WTO Policy and was Chief Negotiator on Trade and Competition. During the Uruguay Round, he followed, inter alia, negotiations on Safeguards, GATT Articles, Functioning of the GATT and Trade and Environment. He has also been posted in the EU Delegation to the United Nations in New York. 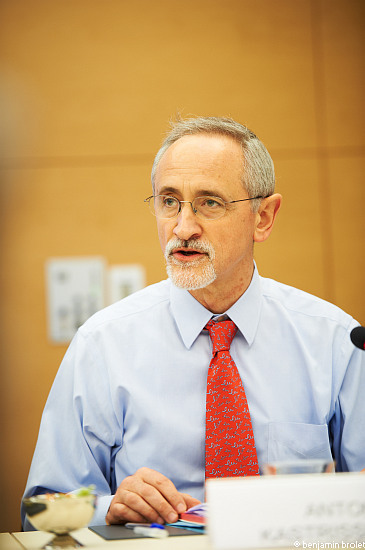 He has written several papers and publications on the subjects of Trade Laws, GATT and WTO System, Safeguard Measures, Trade and Competition, DSU Reform and Dispute Settlement in European FTAs. Mr Garcia Bercero has a Law Degree from the Law Faculty of Universidad Complutense, Madrid and a Master of Laws Degree ( with Distinction) from University College , London. John Clarke was born in England in 1958, and has a first class Honours degree and an MPhil in literature and politics from the University of London. Mr Clarke joined the European Commission in 1993. He was Head of Unit for WTO Affairs from 2004 to 2007 and was then appointed Deputy Head of the European Commission Delegation to the international organisations in Geneva. Mr Clarke was Chargé d'Affaires of the EU Delegation in 2010, representing the EU in the WTO, and the UN agencies. In January 2011 Mr Clarke was appointed Director International Affairs in DG Agriculture and Rural Development, responsible for relations including FTAs with Asia and Latin American countries, neighbourhood policy and EU enlargements. 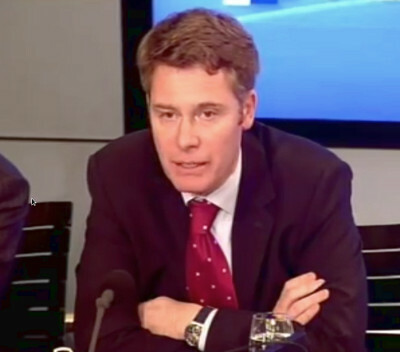 Before joining the European Commission, Mr Clarke worked from 1983 to 1993 for the Hong Kong Government, positions including Assistant Secretary for broadcasting policy, Deputy Secretary of the Executive Council, member of the HK delegation to the GATT during the Uruguay Round, and Deputy Head of the HK Office in Brussels. Dr. Klaus Berend joined the European Commission in 1994 and is currently Head of Unit in the European Commission’s Directorate-General Enterprise & Industry, responsible for the implementation of the EU Regulation concerning the Registration, Evaluation, Authorisation and Restriction of Chemicals (REACH), which sets out the overall framework for regulating chemicals in the EU. Before, he was Head of Unit in DG Enterprise & Industry, responsible for EU legislation on the Classification, Labelling and Packaging of substances and mixtures (CLP), Good Laboratory Practices (GLP), detergents, fertilisers, drug precursors, explosives and pyrotechnic articles. The unit also dealt with the sustainability and competitiveness of the chemicals industry in the European Union. Previously, he was Deputy Head of Unit in the Commission’s Directorate General for Environment, Unit Biotechnology & Pesticides, where he co-ordinated the work concerning biocides, plant protection products and the Community’s participation in the Rotterdam Convention on Prior Informed Consent (PIC). He studied chemistry at the universities of Heidelberg, Freiburg, and Stanford, and obtained a PhD in polymer chemistry from the University of Freiburg (Germany). === Aymeric Pontvianne, Chef du bureau, Direction générale du Trésor === Représentant suppléant de la France au Comité de politique commerciale de l'Union européenne diplômé de l’Institut d’études politiques de Paris est un ancien élève de l’ENA (promotion Romain Gary en 2005), la même promotion que l’actuel ministre du commerce extérieur, Matthias Fekl). Maître des requêtes au Conseil d’État, chef de bureau pour la politique commerciale de l’OMC et des accords commerciaux de l’Union Européenne, il est le représentant suppléant de la France au Comité de politique commerciale de l’Union Européenne.